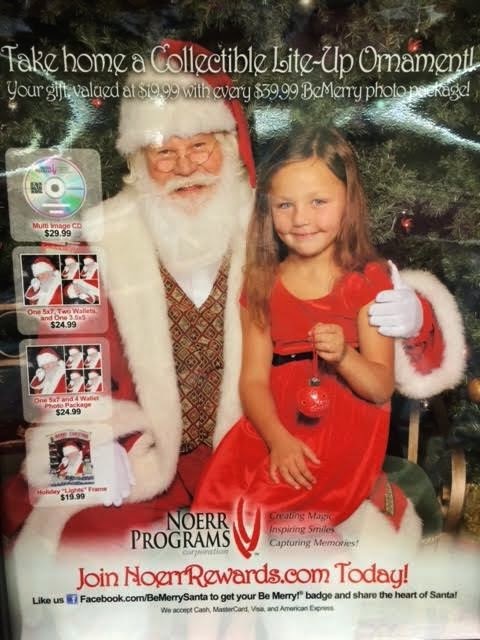 Families do not have to purchase a photo package to visit Santa. If there is a long line, ask a Photo Elf if you can visit Santa between photo takes, let them know you only want a visit, no photo. Santa takes a break to feed his reindeer for lunch and dinner. Multi-image CD for $29. Print your photos at home. 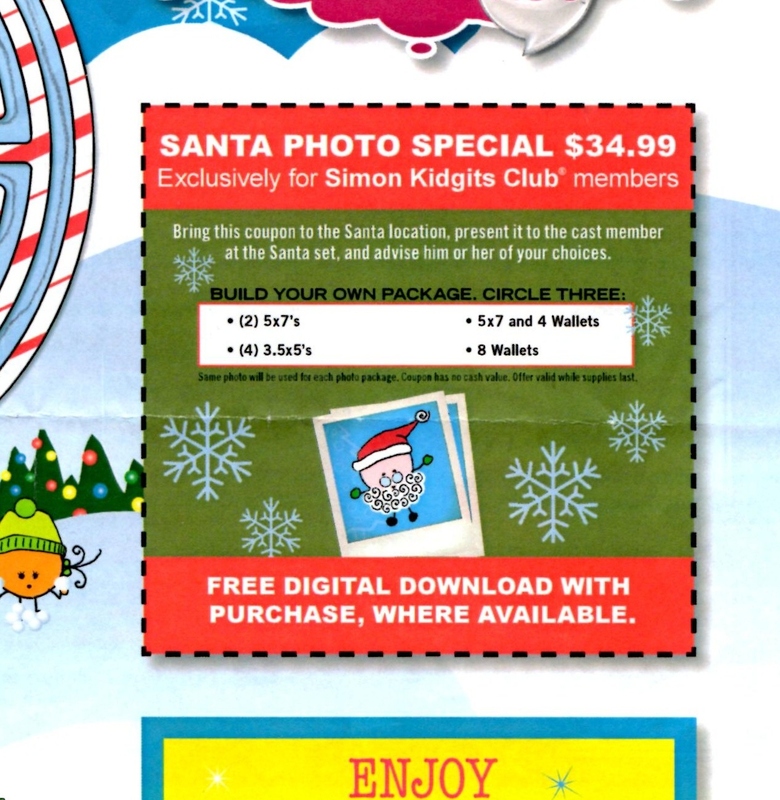 Free Ornament with $39.99 photo package. *Coupon required. This package is only available to Kidgits members. Membership is $5 and can be purchased at Guest Services. 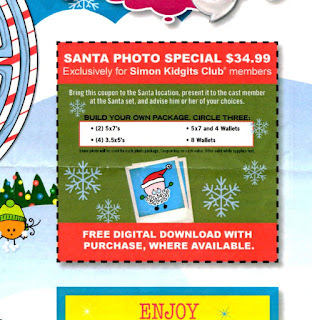 Kidgit Photo Package coupon available at Guest Services.